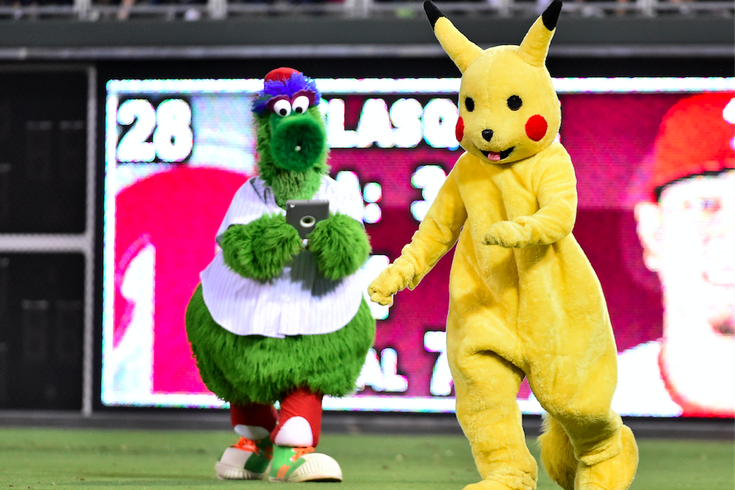 The Phillie Phanatic tries to capture Pikachu during a 2016 game between the Philadelphia Phillies and the Miami Marlins at Citizens Bank Park. The upcoming Pokémon movie "Detective Pikachu" has all the makings of a theatrical hit, but it may be the one rare case in which casting Ryan Reynolds was a blunder. Ever since the collaboration between Legendary, Warner Bros. and the Pokémon Company was announced three years ago, fans have clamored for the squirrel-like, yellow lightning puff to be voiced by Danny DeVito. A change.org petition to get DeVito the role collected an impressive 51,143 signatures before it was closed. DeVito, 74, once admitted he knew absolutely nothing about Pokémon, but fans considered that a trifling inconvenience — so much so that they began editing his voice into their own mock-trailers. The uproar did not go unnoticed by the film's visual effects team, according to a report from The Nerdist. Visual effects producer Greg Baxter, speaking from the set of "Detective Pikachu" in London, told the website that Danny DeVito's voice was among many actors who were paired with the film's early animation in order to guide their casting decisions. "Yeah, we threw some of his ... Always Sunny in Philadelphia ... in as well," Baxter reportedly said. "I mean, we really tried a range of actors. Different pitches, different sounds of voice, different ... big, small, everywhere in between. And really, once you put a voice to an animated character, something just amazing happens, not what you expect. But once Ryan went in, it was kind of game over. That was amazing." The tests they ran will likely never get out to the public, but fans have done the dirty work of plugging Frank Reynolds quotes into the film's trailer. The film that premieres May 10 may be wonderful, and it may be the start of a Pokémon franchise, but nothing will ever hold a candle to Frank's unique spin on the character.